The advent of summer brings many wonderful things, some of which entail the likes of outdoor festivals, sundresses, warmth, and my absolute favorite, farmer markets. Philadelphia is chock full of local finds and depending on which part of the city you wander off into, you’re bound to find something fresh and homegrown. It tickles my fancy. It’s not easy being a locavore on a student budget, which is why I look forward to summer markets. Most fruits and veggies are in season and their abundance keeps costs low, allowing me the luxury of making fresh favorites like this. I love this salad. It’s delightfully fresh and light yet filling. Oh and did I mention it’s super easy to make? Step 1. Wash and chop the butter lettuce. Butter lettuce. Doesn’t that just sound so decadent? It’s one of my absolute favorites, aside from mixed greens. 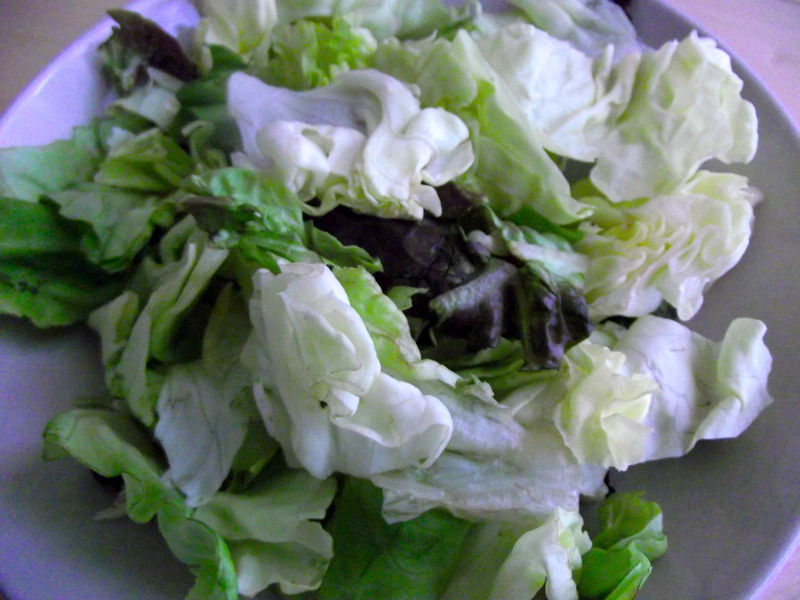 The leaves are creamy and soft (buttery, if you will) yet they don’t wilt as easily when tossed with dressing. Packaged butter lettuce is just as fine! It usually comes mixed with radiccio, which adds a nice crunch. Step 2. Wash and slice the grape tomatoes. I could eat these suckers all day long. Yum. Have leftovers? They’d be good in shrimp scampi too, ooh. Step 3. 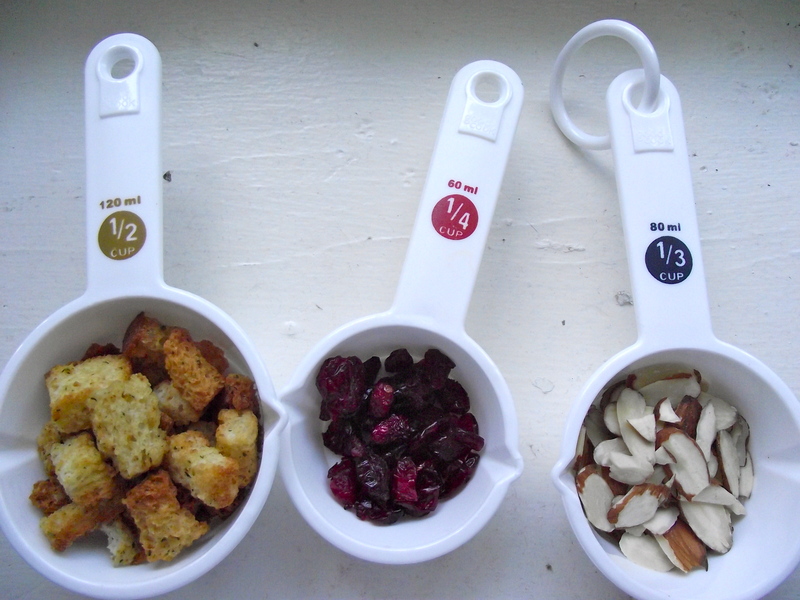 Assemble croutons, craisins and almonds. 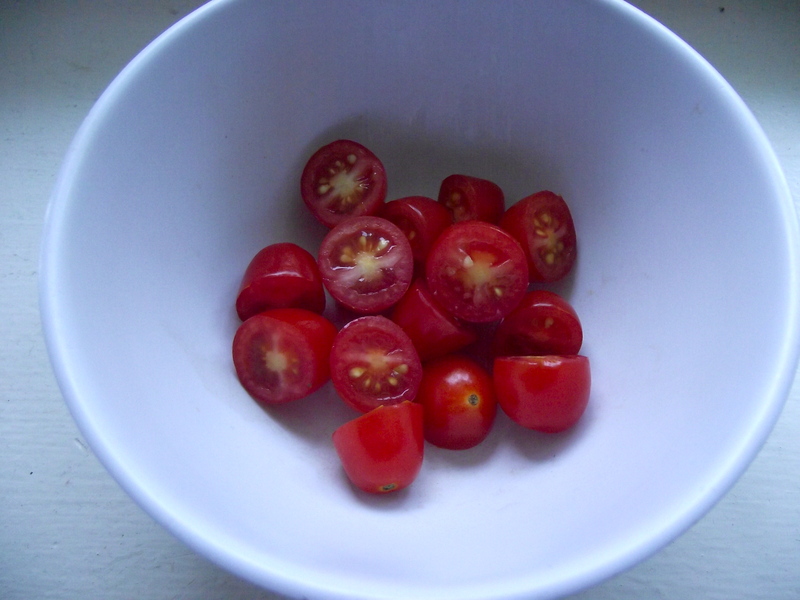 Contrary to the picture, I don’t measure these out (I don’t own small bowls, so here’s me getting creative, haha). I love craisins, so I tend to put more of those in the mix. These are plain almonds, but roasted and salted almonds are crazy delicious too. Step 4. 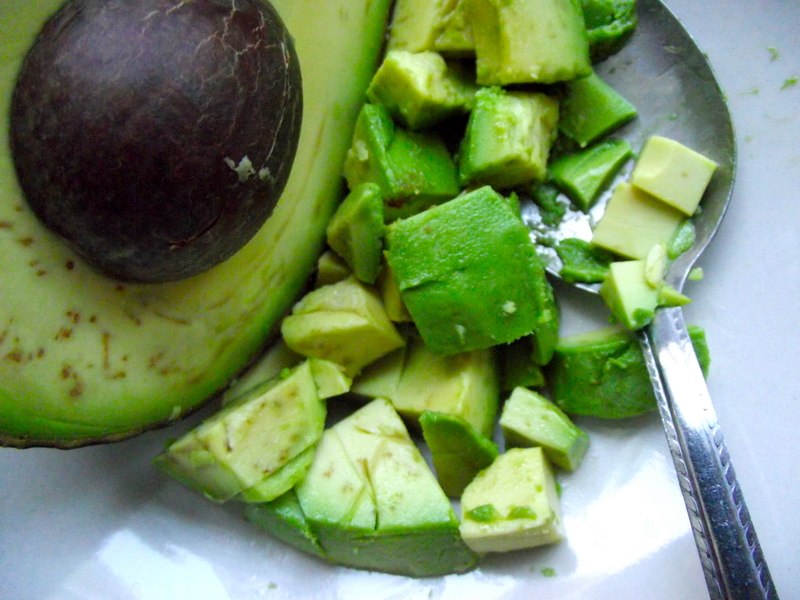 Score and scoop out 1/2 an avocado. 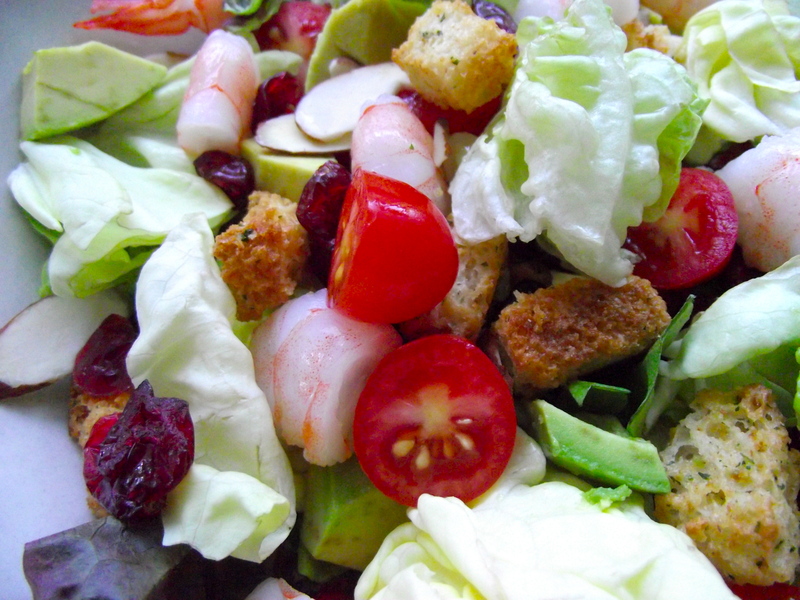 To be honest, this salad recipe idea started with my ongoing love affair with this buttery fruit. Avocados are the best during warmer months and I’d be lying if I said I didn’t try to use it in almost anything I make. Fresh guacamole or just drizzled with a bit of honey, I like trying new ways to enjoy this summer star. Step 5. De-vein and cook the shrimp for about 3 minutes in boiling water. Allow to cool then chop into bite sized pieces. Then eat a few pieces. 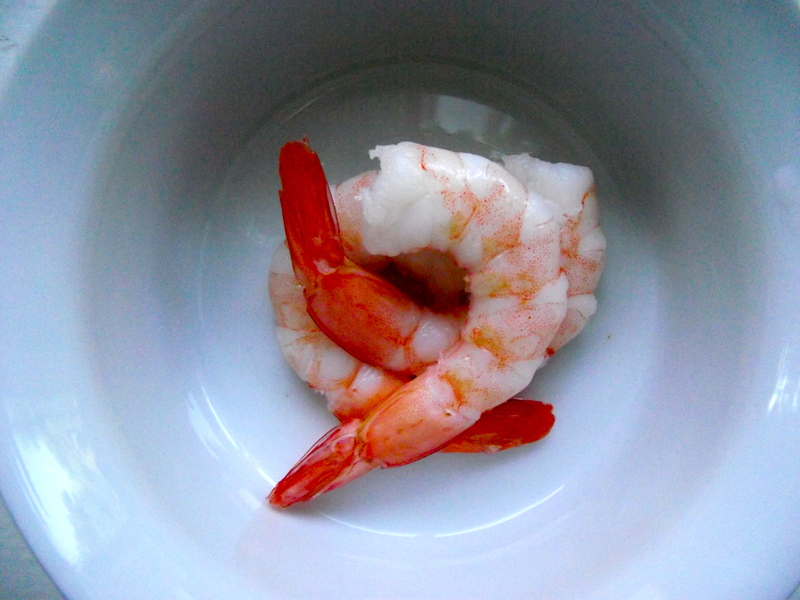 Then decide you should have cooked more shrimp. Always the case for me, anyway. Step 6. 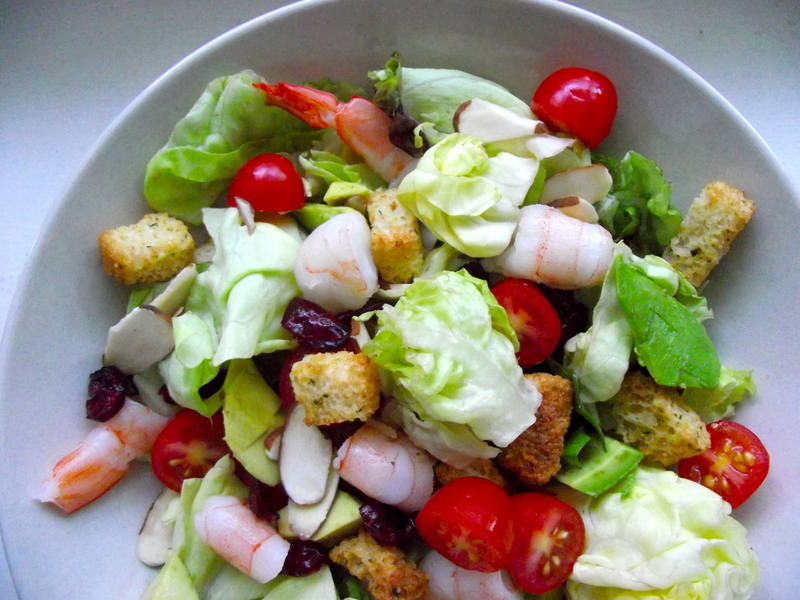 In a large bowl, mix all salad components together. Add more toppings if you desire. Then eat one more piece of shrimp and promise you won’t eat more till the very. end. Break that promise. Step 7. Make the salad dressing. 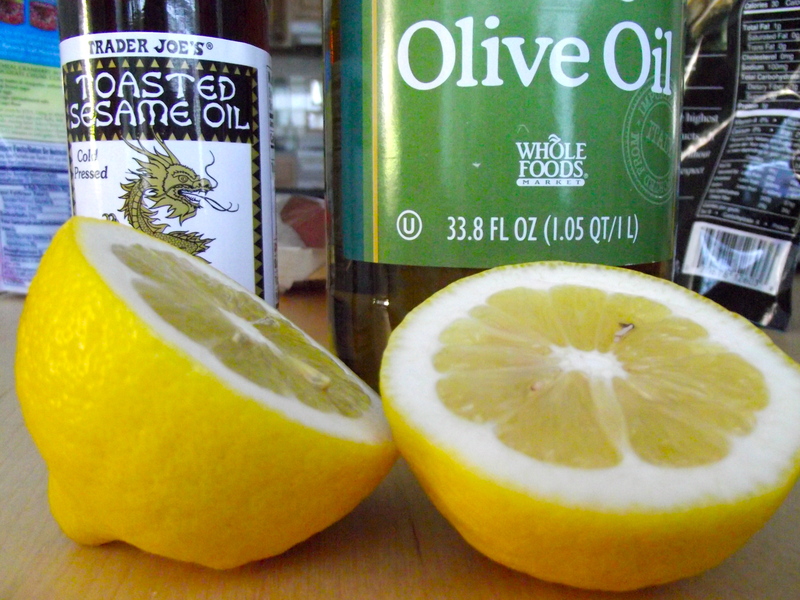 In a separate bowl, add the juice of 1 lemon, sans seeds. 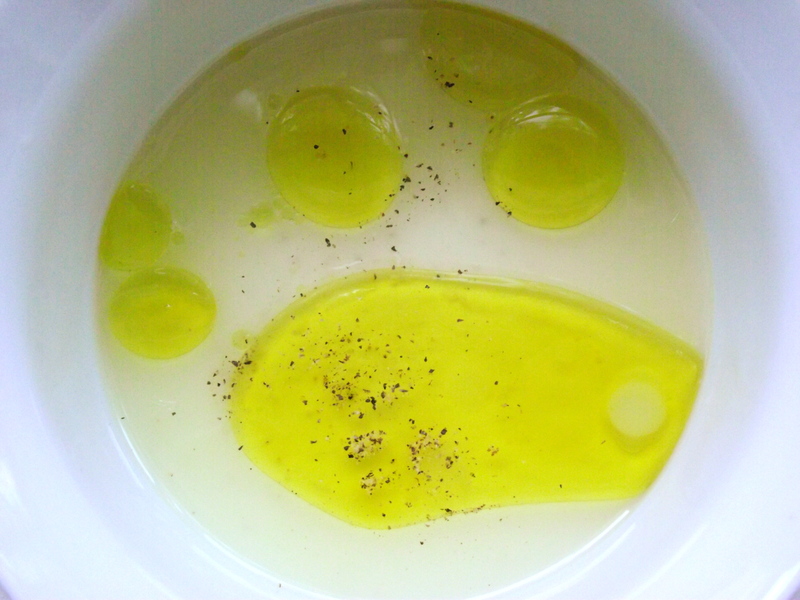 Measure this, then add exactly the same amount of extra virgin olive oil. It’s a one to one ratio if you will. Add a sprinkle of salt and pepper then whisk, whisk, whisk. Step 8. Taste and add more salt and pepper to your liking. Finally, add 1-3 drops of sesame oil. I mean it. 1-3 drops only, maybe even less. You want that subtle savory flavor but a drizzle of this will overwhelm your dressing. If it’s your first time making this dressing, add the sesame oil a drop and a taste at a time. You’ll be surprised how much a little goeth a long way. Step 9. Drizzle the dressing all over the salad then mix, mix, mix. Ahh, summer in my mouth at its finest. 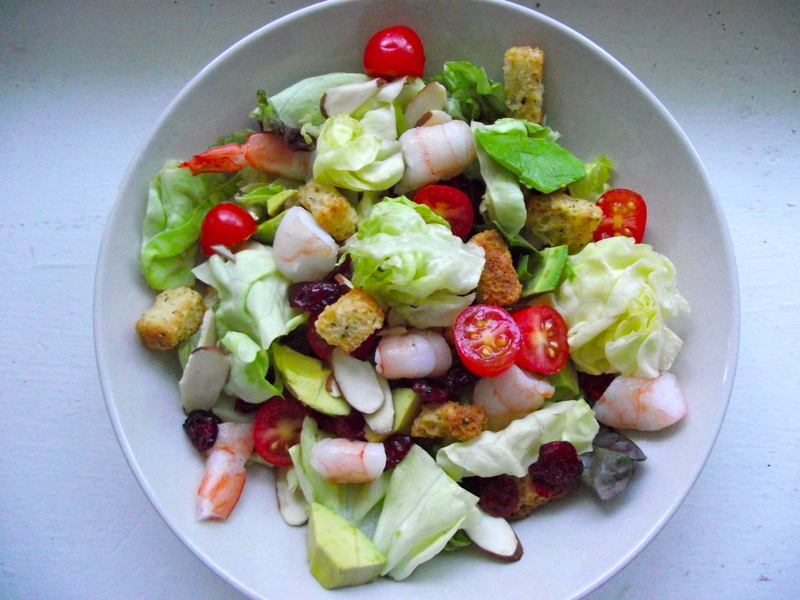 For lunch or for a light dinner, this salad is a favorite, time and again. Make it for your friends, bring it to a picnic, or enjoy it for yourself. Until next time foodies! Oh my God. Must have lunch now. This looks delicious.